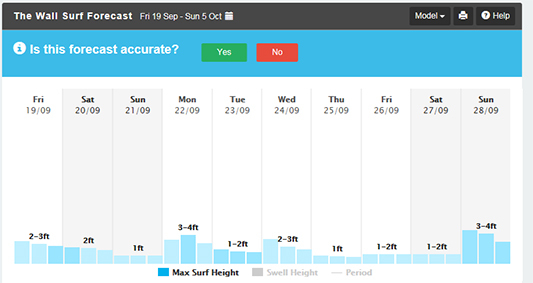 GREAT surf this week due to Hurricane Edouard! The Bummer Summer of 2014. I will never tire of the excitement that a tropical storm/hurricane causes here in the community each season. And this last one was no exception. 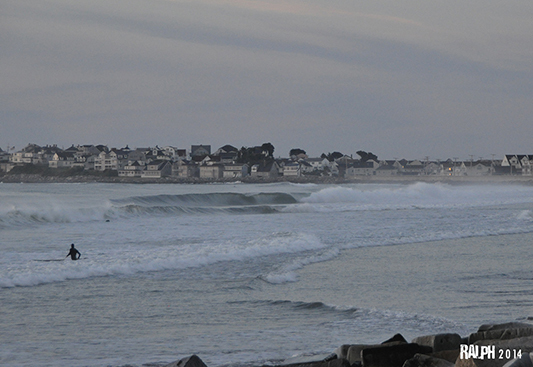 Hurricane EDOUARD delivered the goods, the day after we expected he would. 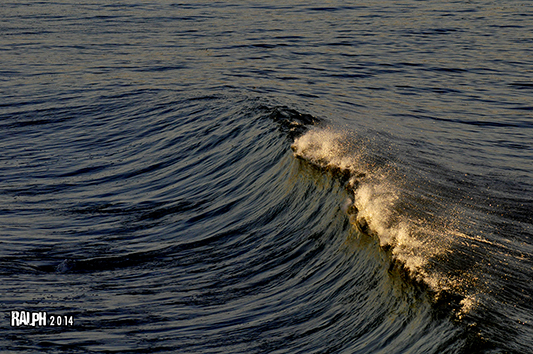 And for a short window, that pulse sent us waves that had the whole coast rocking. 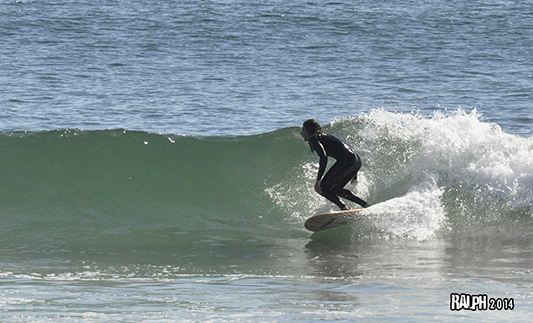 I wish I could say that I surfed this swell, but I did not. I had every intention of surfing, but just did not have that opportune window. I did however shoot both stills, and video. And I was lucky enough to shoot one of my old friends getting a barrel that may very well be the best photo ever taken of him. I don't know who was happier. Me or him? Clearly he was beyond stoked. 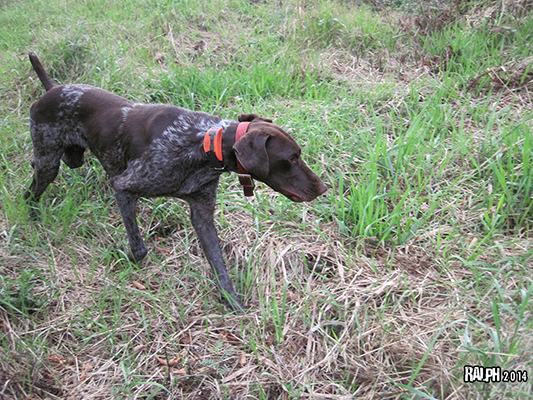 In fact, the pic was one of a 8 shot sequence. As you can see my friend Kenny Linseman was slotted perfectly on this gaping right hander. I know there have been deeper barrels here in NH, and I'm sure I have shot a bunch. But this is special because I know how hard it is getting older in life and the chances of getting those good set waves don't come as often as they used to. So for me to be there camera in hand and capture this wave, well it was a great feeling for both of us. As I said, I'm not sure who was more stoked. But I'm glad I shot it for Kenny. And I know he's stoked I got it too. I also got a few other memorable pics from Edouard and there are at least 4 galleries down in the blog that will attest to that. Like this shot of Mike Stanek. This is another pic from a sequence. 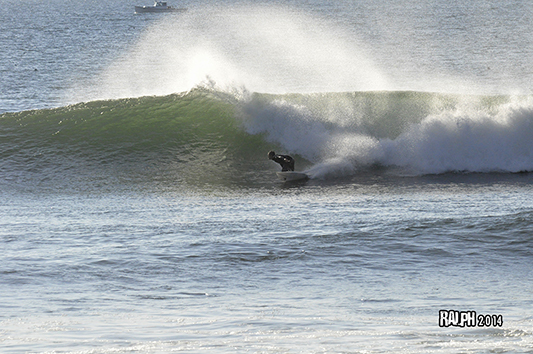 Again, another barrel of a local rider. Though there is a vast age difference between Kenny and Mike, it's still a great feeling for both the photographer and the rider, when these moments come together. I sell high res pics of images all the time. But I have to say, it's such a great feeling to be able to provide a surfer with a high res pic that I just know is going to make his day. One thing I do know about surfing is this. We ALL want a good photo of us surfing. Every single surfer wants one. I know this because I have a few of me surfing. There is one that Ed shot of me back in 2008 that I just love. 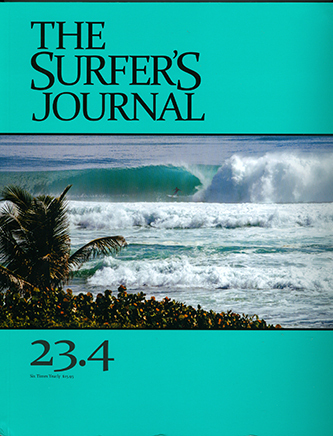 And there's others that I have collected over the years, like this one I have of me surfing this same spot in 1988. Michael Baytoff shot this on October 11th, 1988. At the same place the two other photos above were shot. Funny because I was just talking to Kenny about his photo, and I told him how I felt that I was so deep when I was riding that wave, but when I saw the photo, I could not believe it looked the way it did. To me, in my mind, the wave was bigger and hollower. Don't get me wrong, I loved the photo. I just thought I was deeper. Surf photography can do that to you. 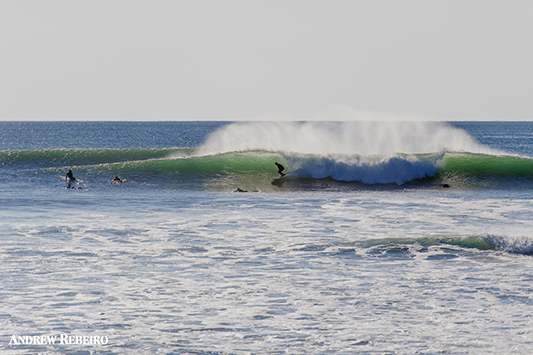 Back to last week's great swell. This pic I shot of Kody Grondin at the wall looked so tropical to me. Or rather it looked like New Zealand or Australia . Just so green and machine like. EDOUARD you did not disappoint us. I just wish there was more of you. You were spent on day 3 and left a lot of us wanting more. 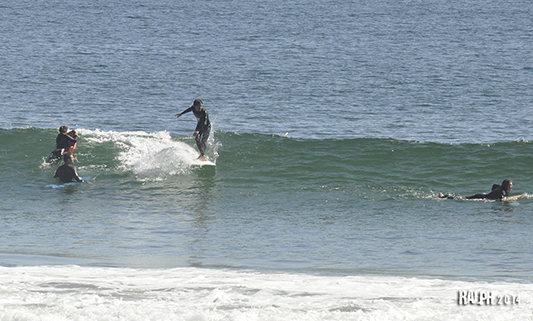 I wanted more because I had not yet surfed. 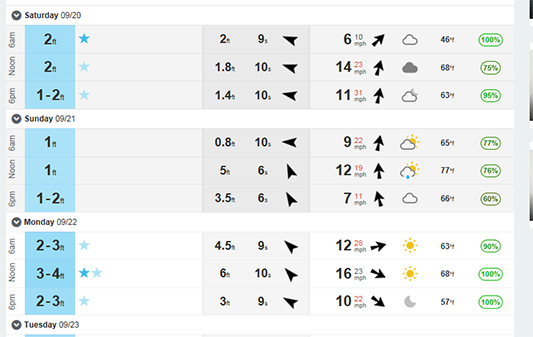 But alas, that is the dilemma of being a surf photographer. you MUST shoot first and then surf. I just told Andrew Rebeiro this same thing. Shoot and then surf. 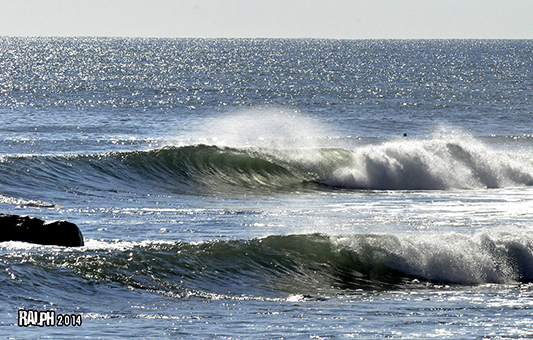 Otherwise you will miss the best waves. I am not sad to see this summer come to an end. Hands down the saddest summer of all time. Today is the official end of Summer. re-cap but for me personally? I lost 6 people that I knew this summer. And they were not all my age. 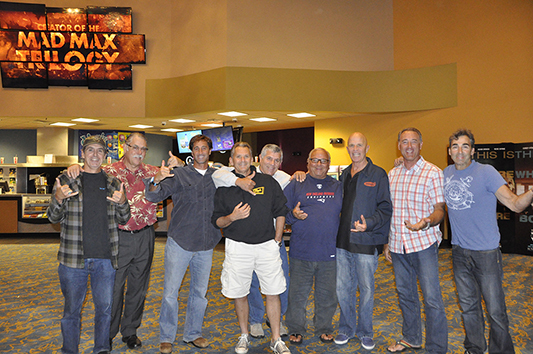 Granted 4 of the 6 were in their 60's but the first and last were too young. 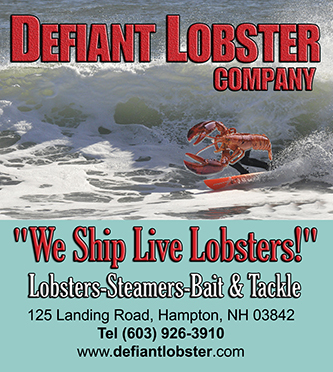 Michael Colby on June 9th, Ed O'Connell on July 1st, John "JT" Taylor on July 6th, Allan MacGregor July 21st, Rick Savastano August 7th, and Emma Jacobs September 10th. That is way too many people associated with this seacoast. Five surfers in one summer. 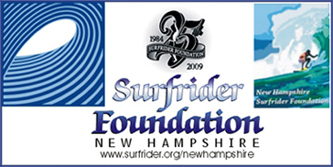 I am for some unknown reason thinking about the old surf movie FIVE SUMMER STORIES. 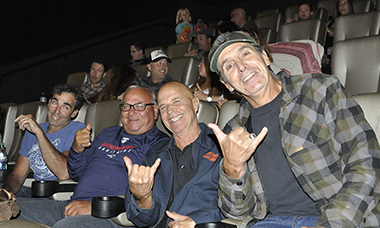 Speaking of surf movies, the BELLA VITA Surf movie was so good this past week. I mean, it was really well done. I hope that Italy does not now turn into a zoo because of this movie. But let's be honest. 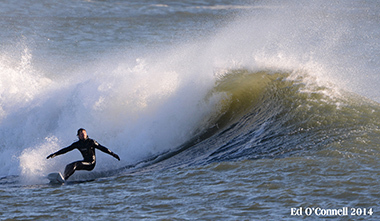 Italy will never be a bona fide surf destination. And most surfers are way too impatient to wait for waves. 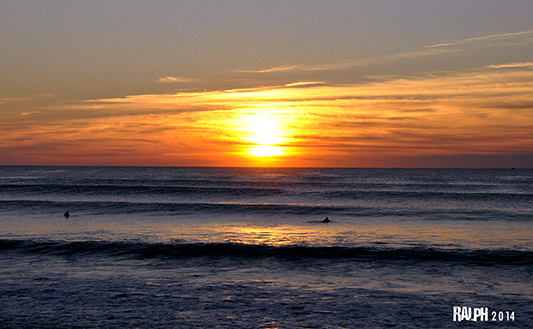 And waiting for waves is what surfing in Italy is all about. 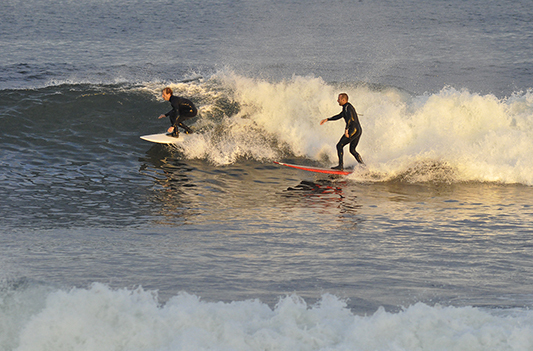 A row of Italian surfers. Local Italians that is. We all loved it. But being Italian, I would love to go there and surf her waves. Especially seeing how I have never been to Italy. I would like to see where my family came from before I die. I have to admit. October is by far my favorite time of the year. Ever since I was a kid I loved this month. And when I was away in the Marine Corps a million miles from here, it was October I missed the most. 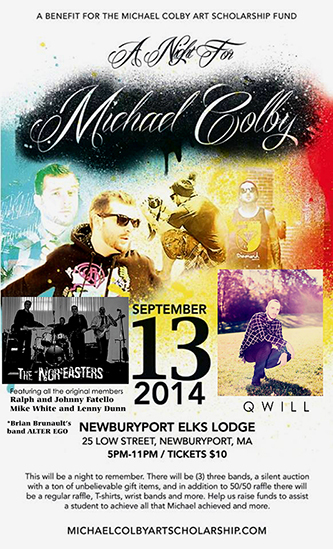 I can't think of a better month that says "New England " then October. The foliage, the surf, the overall weather, and vibe is just so much the reason why I think most of us love it here. I know it is for me. And I would venture to say the same is true for most of you. "Surfing and October Heals All Wounds"
"Ed's Corner" pic this week is one from January 12th, 2014. This is an unknown. And as I have said many times before, Ed was the unknown's best friend. 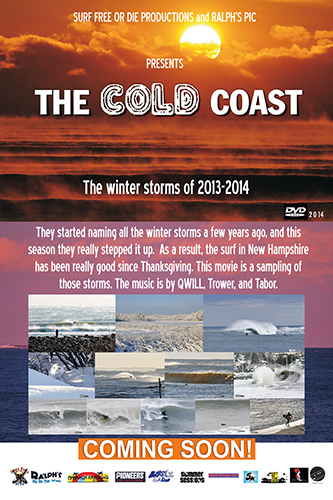 I will be having a whole winter gallery of Ed's in my COLD COAST movie coming this Fall. Extra features on the DVD will also include Puerto Rico. The big story this week again is the same as last week. ISIS. I'm all for bombing the snot out of ISIS but common sense will tell you that you can't beat any enemy by air alone. There are 31,000 ISIS fighters on the ground in IRAQ and SYRIA. They could be hiding anywhere. How can you beat and destroy them by air? You can't. And you can't depend on the Syrian rebels to do the job. Just as you can't depend on the IRAQI Army and the Kurds. We will at some point, be forced to commit ground troops, or watch the fall of IRAQ and SYRIA, then Israel, and god knows what else before they finally come here. I just wish that Obama would face the facts and deal with this threat rationally. 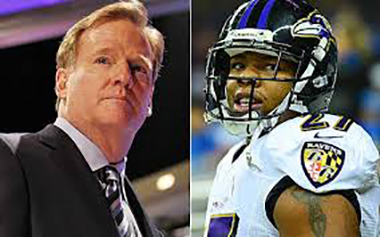 The other big story this week is the Ray Rice story and the NFL Godfather Roger Goodall. How much did he know and when did he know it? humiliation of the mastermind terrorist who killed 3,000 innocent civilians on September 11th, 2001. 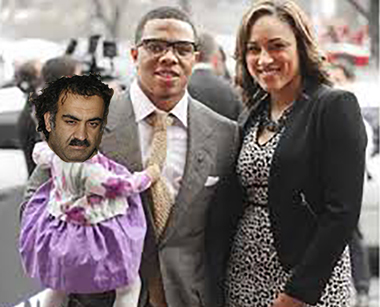 Here we see our boy KSM as a small child with a fellow wife beater as he coaches Ray how to treat women. After all Al Qeada wrote the book on abusing women. and children. * Note to self: Must pick up a case of Pampers at Home Depot this week. The Patriots play The RAIDERS today. I think they should win. But then again, what do I know? When it comes to predicting NFL games? I am not very good. I have been wrong more times then I have been right. But I am still a fan. No matter what. I live by the Red, White, and Blue of the New England Patriots. HAPPY BIRTHDAY Lori Haenn September 22nd. 2014! HAPPY BIRTHDAY Matt Evans September 23, 2014! HAPPY BIRTHDAY Gunny Patch September 23rd, 2014! 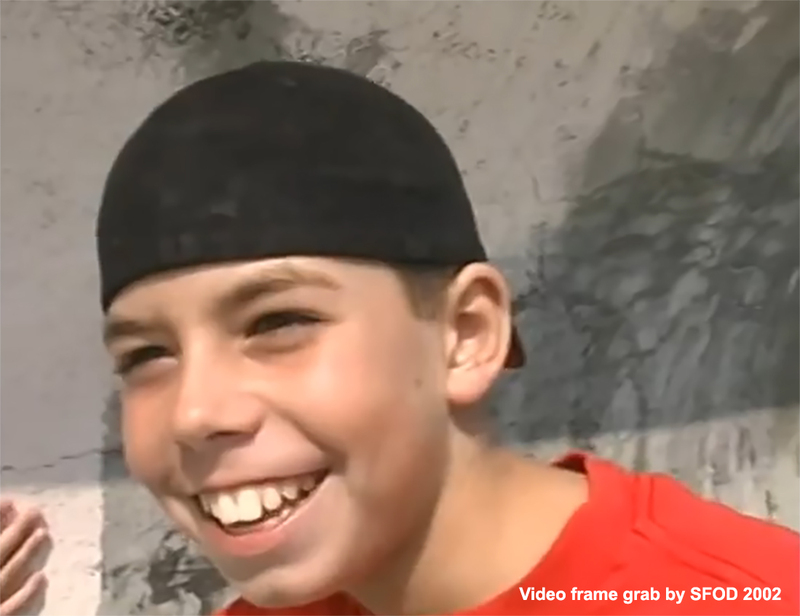 HAPPY BIRTHDAY Avery Fatello September 25th, 2014! HAPPY BIRTHDAY Lester Priday September 28th, 2014! 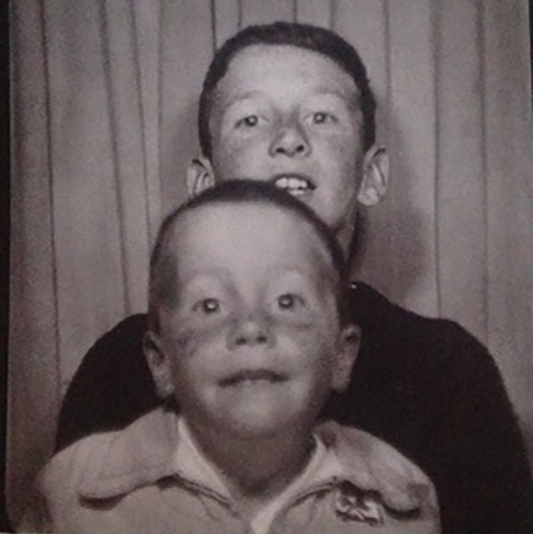 Yesterday- The Keefe Brothers circa 1960's. (Below) I have to say I chuckled when this showed up in my mailbox today. It is a pic of Mike and Jack Keefe. Looks like one of those photo booth pics. So I'm guessing it was shot on the main beach. The boys summered here every summer and like all young beach bums they eventually made their way to the main beach. Today is Jacko's birthday. Happy Birthday Jacko!! Photo courtesy of Mike Keefe. 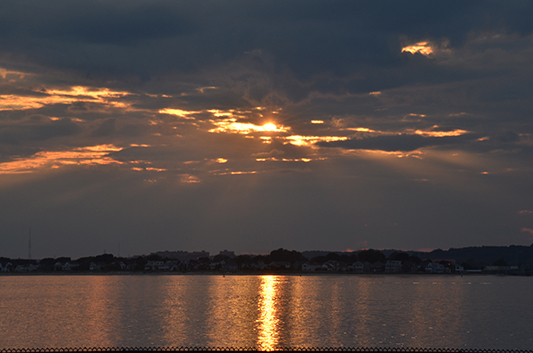 (Above) This is the first sunrise I shot all summer. Lucky for me I got this. 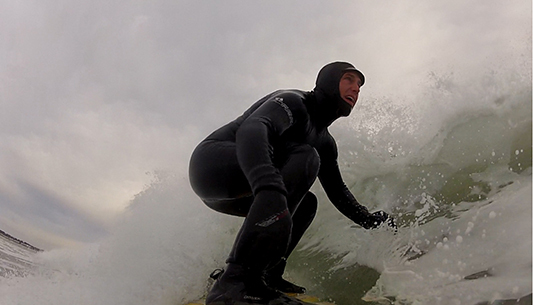 It was the last summer swell of 2014. And what a swell it was. 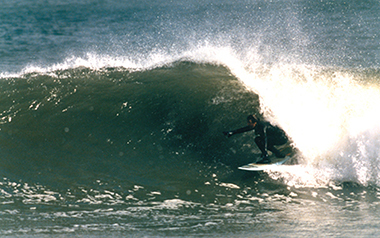 (Above) There are so many good surfers here in New England, but few can match the longevity and style of Peter Stokes. September 18, 2014. (Above) This is Mike Stanek. 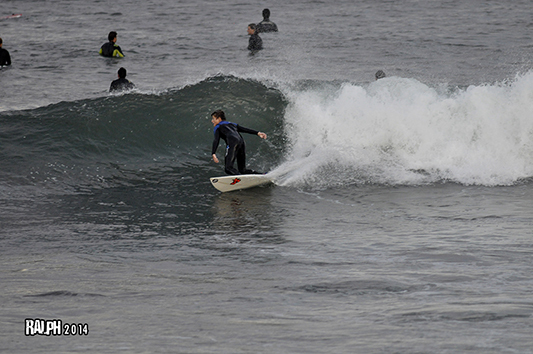 He got some great waves this morning. 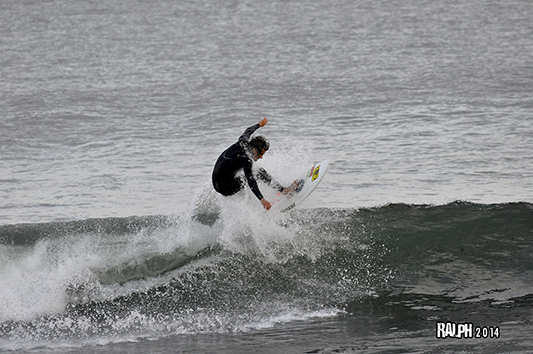 (Above) Kody Grondin pulling into a mini Indo looking wave at the Wall. (Above) Kody's dad Kevin Grondin pulling into a beautiful barrel at the Wall. 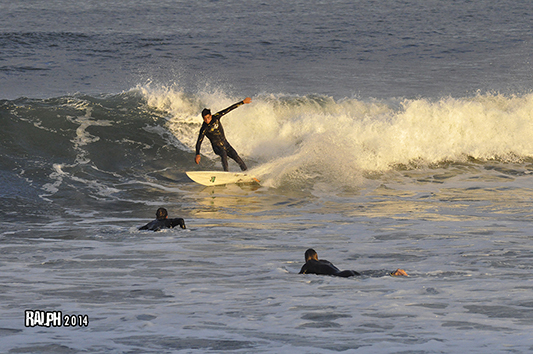 (Above) Jake Davidson backside bottom turn. 9-18-14. (Above) James Morse milking the last gasps of EDOUARD. (Above) Weiland Anderson steals one from the sleeping pack of adults. Today- EDOUARD's EMPTY'S September 18th, 2014. (Above) The waves at the wall that morning were world class. (Above) First light at the Wall. Edouard September 18th, 2014. (Above) Head high, empty, and spinning. September 18th, 2014. (Above) Way bigger than this looks. Edouard September 18th, 2014. 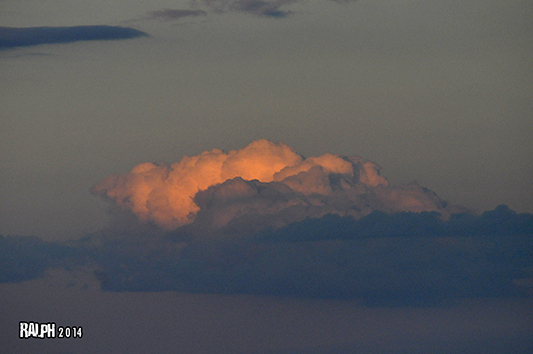 (Above) One frame from a 8 shot sequence. Ken Linseman getting the best barrel of the entire Edouard swell. September 18th, 2014. (Above) Mike Stanek got his share of hollow ones too. Hurricane Edouard. September 18th, 2014. 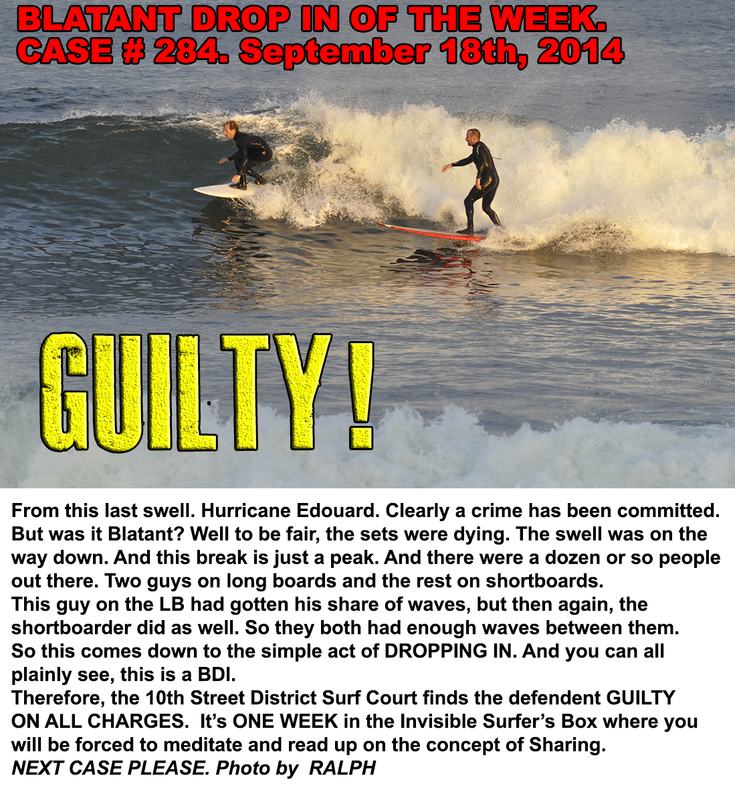 Today- EDOUARD Day One September 17th, 2014. 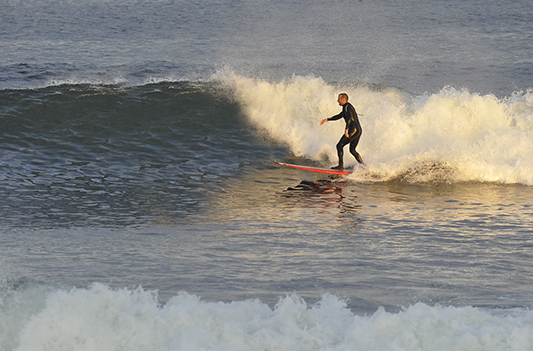 (Above) Kyle Linseman walking the nose before the swell came up. (Above) Brian Taber getting the first licks in on Edouard. Day one. (Above) Mikey Evans on a surprisingly clean looking right. (Above) That's Mikey's dad Rick. Sept. 17th, 2014. 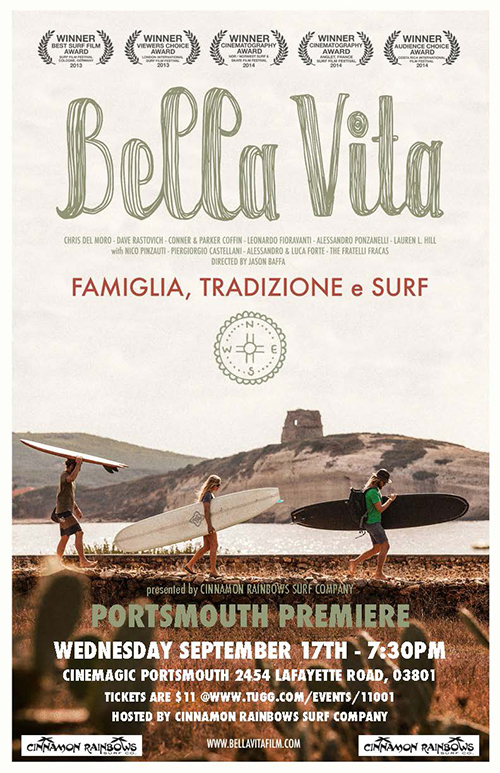 Today- Bella Vita The Italian Surf Movie. (Above) The ITAM surf club. BELLA VITA was a wonderful surf flick. One of the best I have ever seen. I highly recommend it. 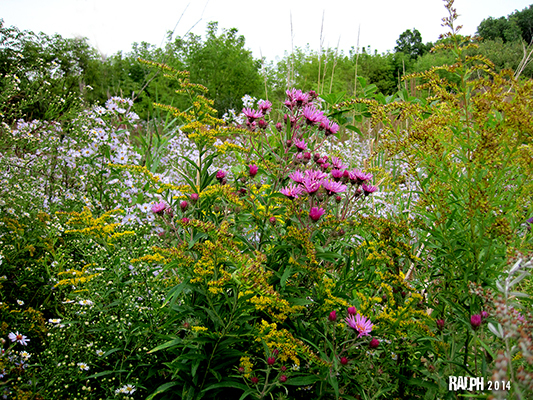 (Above) I did stop to smell the roses. And I took a bunch of pics too. 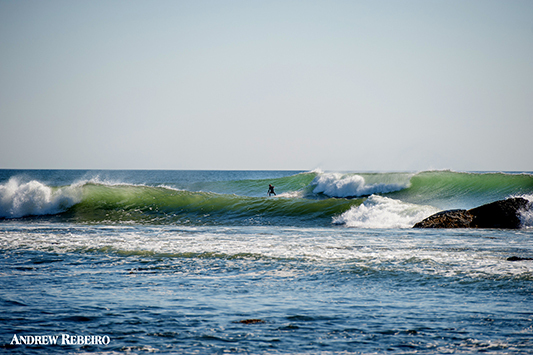 Today- EDOUARD in Maine September 18th, 2014. (Above) This is what Maine looked like on Thursday. Today- Summer In Maine 2014. (Above) My my how I wished I had spent more time up north this summer. (Above) Maine in black and white. Summer, 2014. (Above) This is Andrew Cattano from last April. THE NOR'EASTERS Playing RED HOUSE by Jimi Hendrix. At the Michael Colby Art Scholarship Benefit on Saturday September 13th, 2014 in Newburyport, MA..
Jimi Hendrix passed away on this date September 18th, 1970. Forty four years ago. This was the first blues song I ever learned how to play. 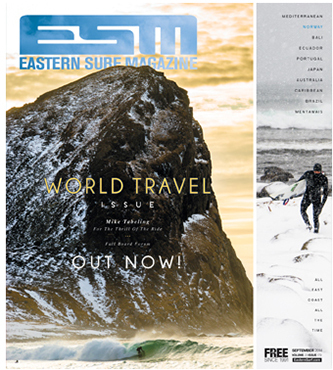 It's no secret I loved Jimi...and it's no secret that The NOR'EASTERS did too. 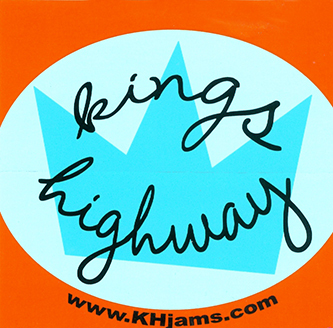 We played a lot of Jimi and Stevie Ray back in the day. Mixing it up with our originals and covers by these two great guitarists. This was special night. It was all for our beloved family member Michael Colby. We all miss Michael but we all have grown closer together because of his passing. At any rate, I hope you enjoy this version of RED HOUSE by Jimi Hendrix. 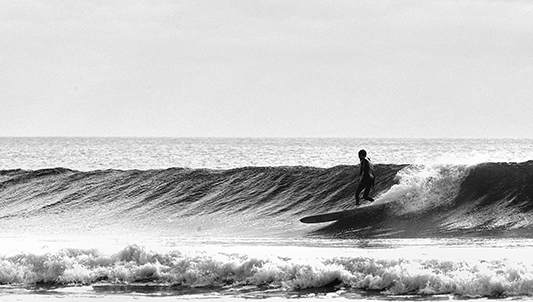 Can a region surrounded by land produce world class surfing waves? Internationally acclaimed surf-filmmaker, Jason Baffa (singlefin: yellow, one california day, one beach) documents surfer, artist and environmentalist, Chris Del Moro on a pilgrimage back to his Italian homeland on what most perceive as a 'Don Quixotian' quest but transforms into a modern discovery seeped in culture, tradition and passion. Moreover, it is what Chris finds in the beauty of Italy and the distinctly passionate connection the Italian people have with family and tradition that reveals a greater truth. COMING NEXT WEEK ....Monday looks good. "How do you like me now? "